This idyllic farmhouse in Bexley had no garden to speak of beforehand. 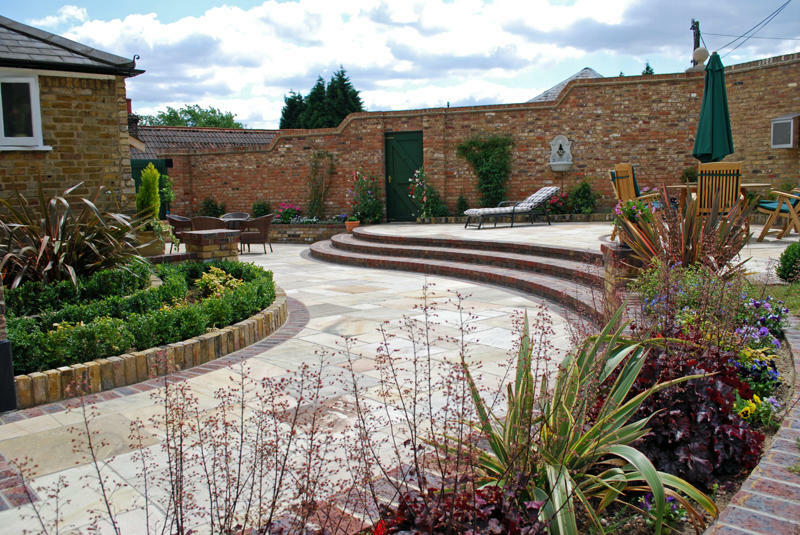 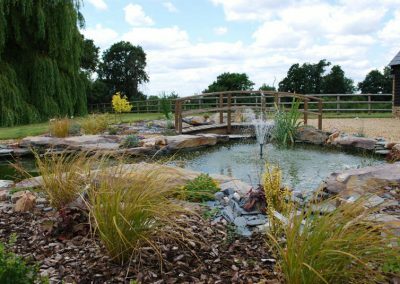 It had an old swimming pool that the owners wanted to remove and the brief was to create nice surrounding areas which blended naturally into the wider landscape. 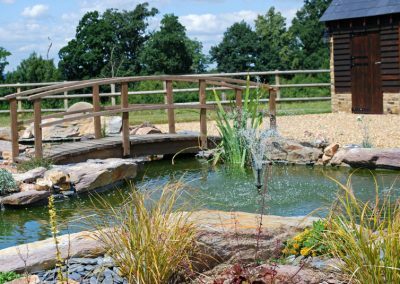 We firstly turned the existing swimming pool into a feature pond using rustic rockery stones and planting to soften the edges. 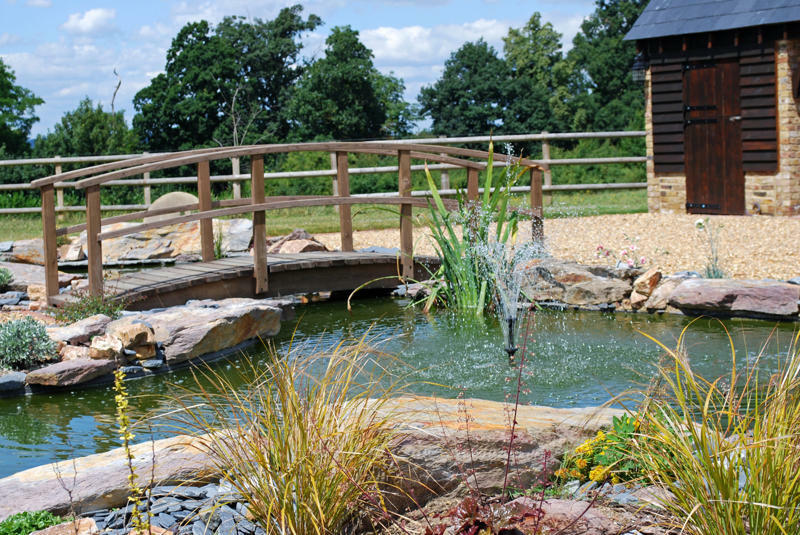 We designed and constructed a timber bridge to span the narrow part of the pond to add interest. 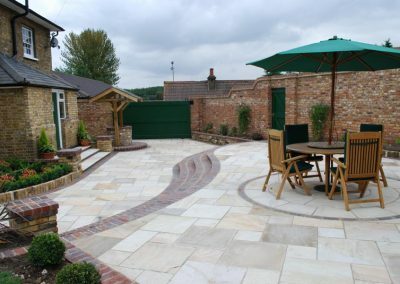 The owners wanted to reduce the surrounding land back to its original levels. 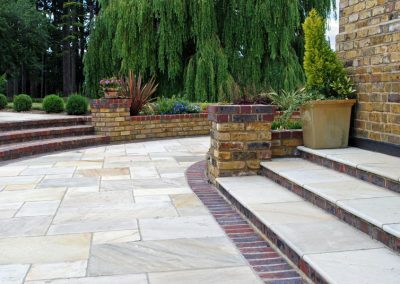 The layers of immediate patio had been built on top of each other quite a few times over the years. 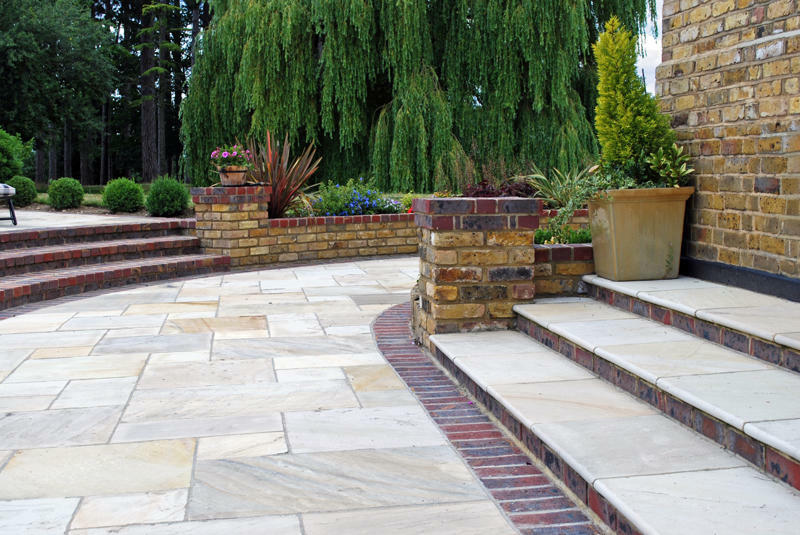 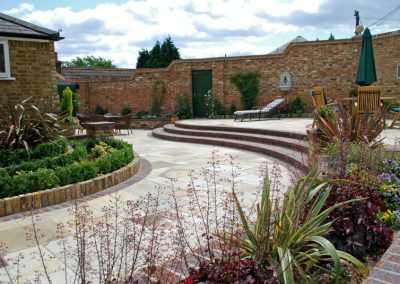 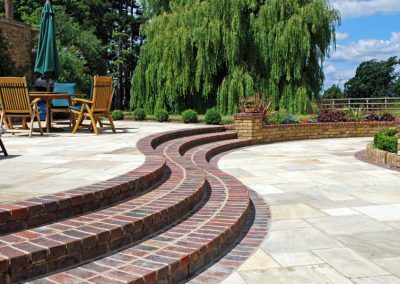 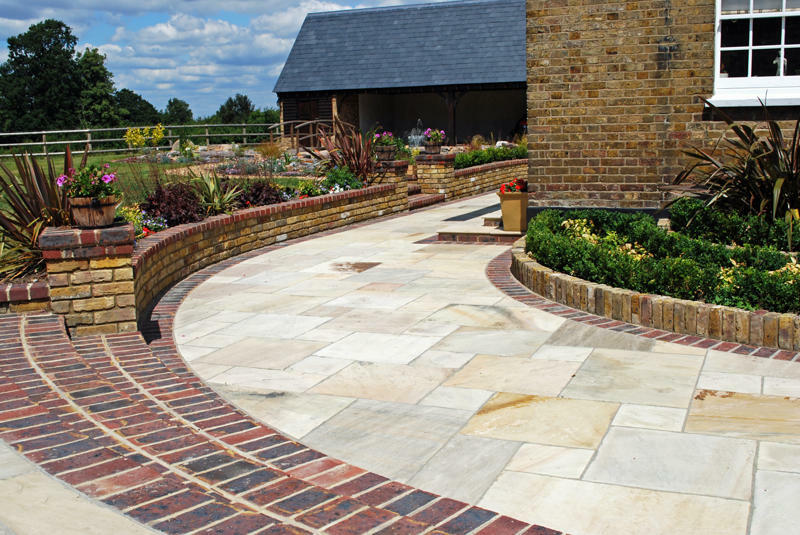 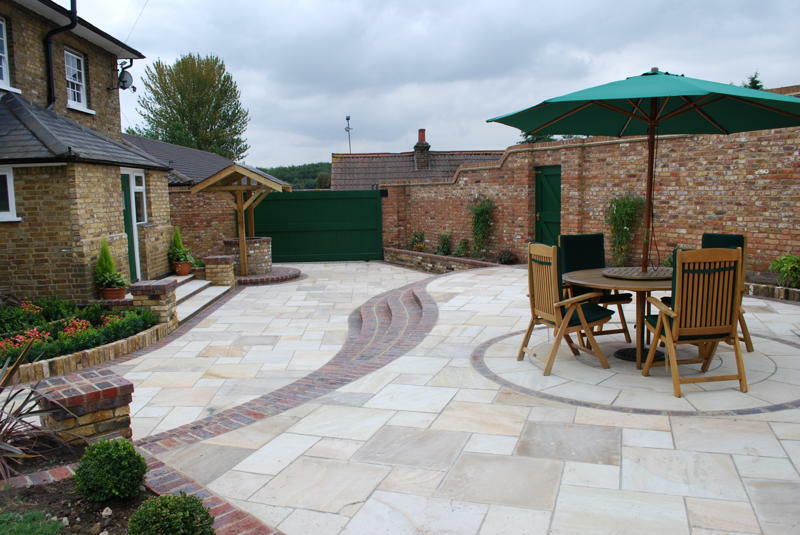 The finished results turned the landscape into an area of real diversity – the level changes created the feature steps, walls and piers that really enhanced the space. 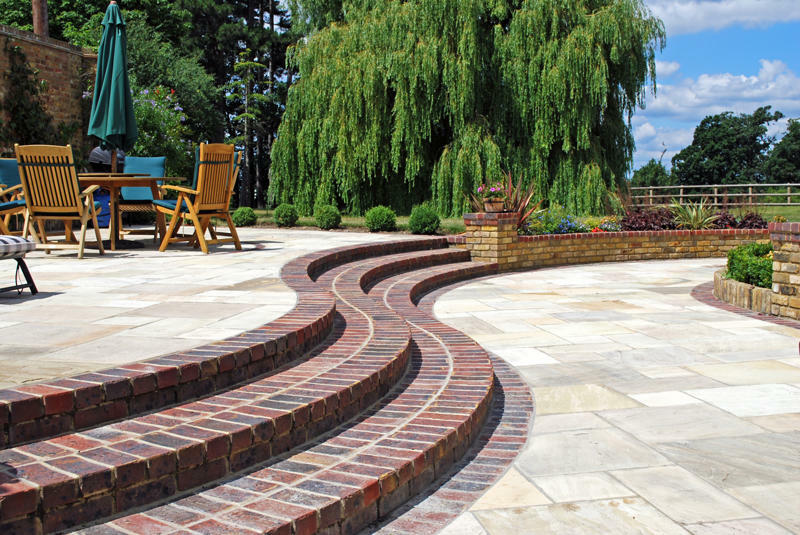 Retaining walls were built using reclaimed bricks. 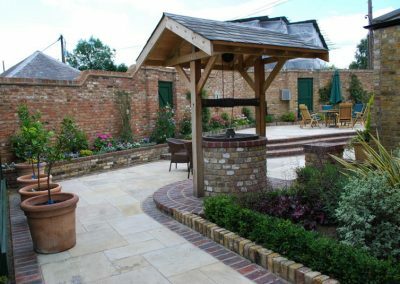 An old ‘working’ well was found and a late design change was made to design and build the well you see in the gallery images. 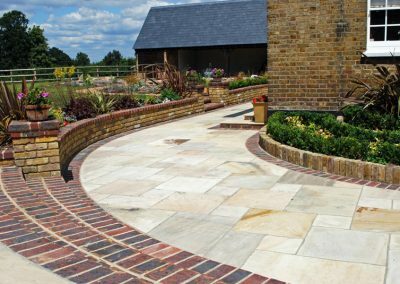 Stock bricks were used for edging/steps and riven Sandstone slabs were used to create the main terrace areas.steps leading down to a wonderful synthetic grass play area (with 5 metre high netting). 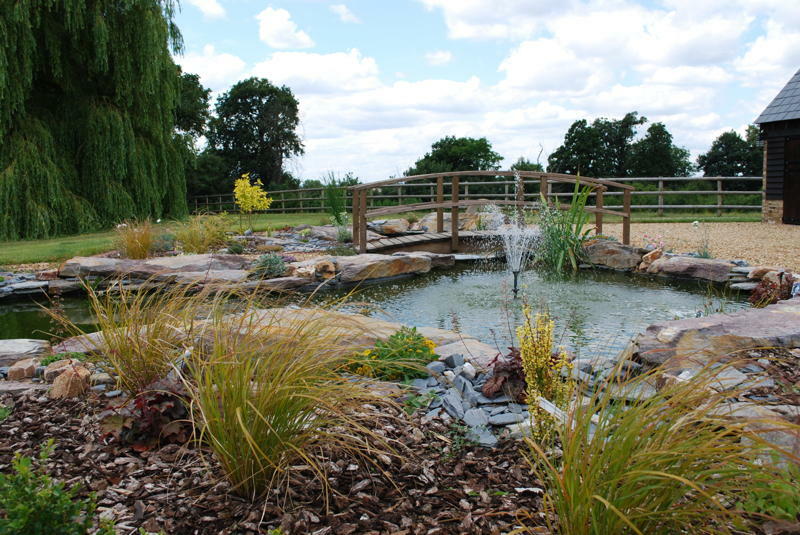 This enabled their child to play safely in the comfort of his own surroundings.